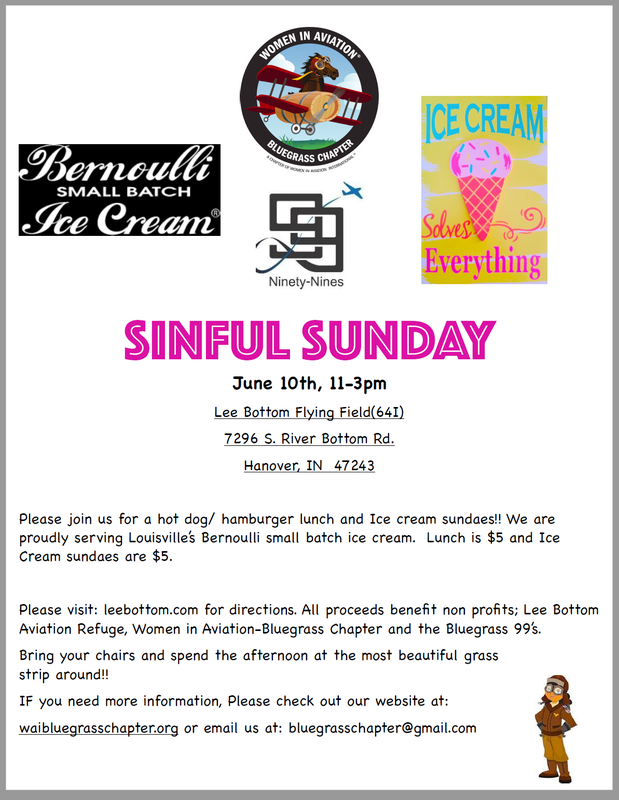 The first Sinful Sunday of 2018 is June 10th. We hope to see you here. 2017 was a successful year for Sinful Sundays and our effort to get more groups involved. Two of those groups will be hosting this first event of 2018. The organizations are the Bluegrass Chapter of Women in Aviation and the 99's. Together these "volunteers" will be offering Bernoulli Small Batch Ice Cream and a classic summer picnic lunch.